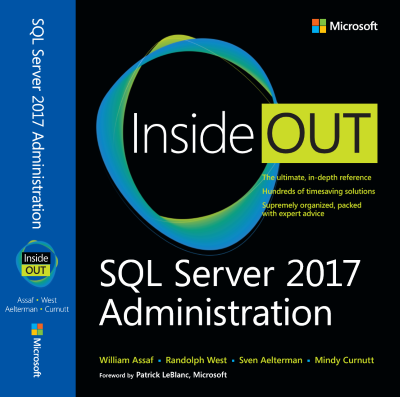 SQL Tact: Actual Emails: How do I learn SQL Server despite limited SQL duties at work? Actual Emails: How do I learn SQL Server despite limited SQL duties at work? Got this email from a client in the southern US asking how to up their game in SQL Server, frustrated by a lack of hands-on opportunities to administer SQL via current job duties. I also felt it necessary to discuss whether or not cert exams were appropriate, leaving it up to them, and then my preferred training methods. I am trying to gain a deeper knowledge to go and sit for the certification exams. 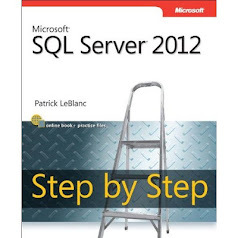 What would be your best suggestion to immerse myself into SQL and learn the skills I need to sit for each exam. I have tried to just create tasks to force myself to learn and practice SQL query skills and that works but it has some limits. I learned a lot from that, but I learned so much more with some direction and a course structure. I have taken a couple of online SQL training courses and everything seems simple and logical. I start feeling like less confident when I look at sample questions. They seem to go into deeper detail than what I have seen in the training classes and deeper than what I see day to day. What would your suggestion be for the best method of gaining the skills needed to effectively manage my SQL environment? Hi! Honored that you reached out, hope this email helps. I actually give a presentation on this topic, based on my experience as a writer for the last three generations of SQL certification exams for Microsoft. The exam writers are instructed to test experience by asking questions in the frame of tasks that test whether or not the exam taker has “do this job” before. The exam writers are told to test for someone with 3-5 years of experience at a minimum, by testing things you can’t learn from only reference docs (and especially on brand new features of the latest version of SQL). So that’s who I advise taking the tests: 3-5+ years of xp. So my opinion here may be different from others and especially from some managers, but I don’t feel it’s appropriate or productive to ask inexperienced resources to pursue exams. What’s more likely than a passing score is a person becoming disillusioned, frustrated, or disengaged from career progress, or they try to cheat (with brain dumps), or they quit and/or change career path. Given that, gauge for yourself whether you think an exam makes sense for you at this stage. Regardless, as for training resources:Again experience is the best teacher here, but I understand the frustration about not being exposed to much variety, as far as SQL development/administration goes. This blog post of mine has links to many resources, I’d point out specifically the “Stairways” and the MVA. If you don’t already have a copy of my book, the Sparkhound office near your area can totally arrange that. Joining your local SQL User Group is good free training, as well as all the virtual user groups that PASS provides for free. Highly recommend joining PASS, it’s free. There’s a SQLSaturday conference in Atlanta next weekend, again more free training, later this year there are SQLSaturdays in Memphis and Baton Rouge and Pensacola, and there are SQLSaturdays that usually happen annually in Birmingham and Columbus, GA/Phenix City, AL (thought I don’t see either in the upcoming events list on sqlsaturday.com right now…) The wife and I like to make little weekend trips out of those Saturday conferences, and before our kid went off to college, we’d bring them along too for fun. As for trying to get hands-on experience, I would give you the same advice I often give my team: “lab it out.” Use your local workstation or laptop, install SQL Server Developer edition, have a local instance to play with at all times. Sign up for an Azure account and use your free credits to run an Azure VM with SQL Developer edition, or if you have an MSDN account through work or otherwise, you get monthly credits for Azure spend. If Azure isn’t an option, use a home PC or server, the hardware doesn’t have to be production-quality to facilitate learning basic concepts and testing admin actions you shouldn’t try on production. I have learned and developed a lot of my toolbox “lab” scripts by just playing and breaking and fixing and dropping and recreating on my SQL sandboxes… all outside of production. So if you don’t have an admin sandbox, get one, just setting it up, breaking and fixing it will be a learning experience. I can’t speak personally to any of the paid training classes, other than the SQLSkills folks literally wrote big parts of SQL Server and their training is considered top notch. 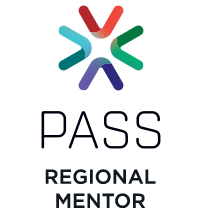 The PASS Summit conference in Seattle is the biggest/best SQL Server conference with two days of all-day deep dive trainings followed by three long days of sessions, if you have that kind of training money.